A fossil Cheirurus ingricus on display in the Sant Hall of Oceans in the Smithsonian Museum of Natural History. 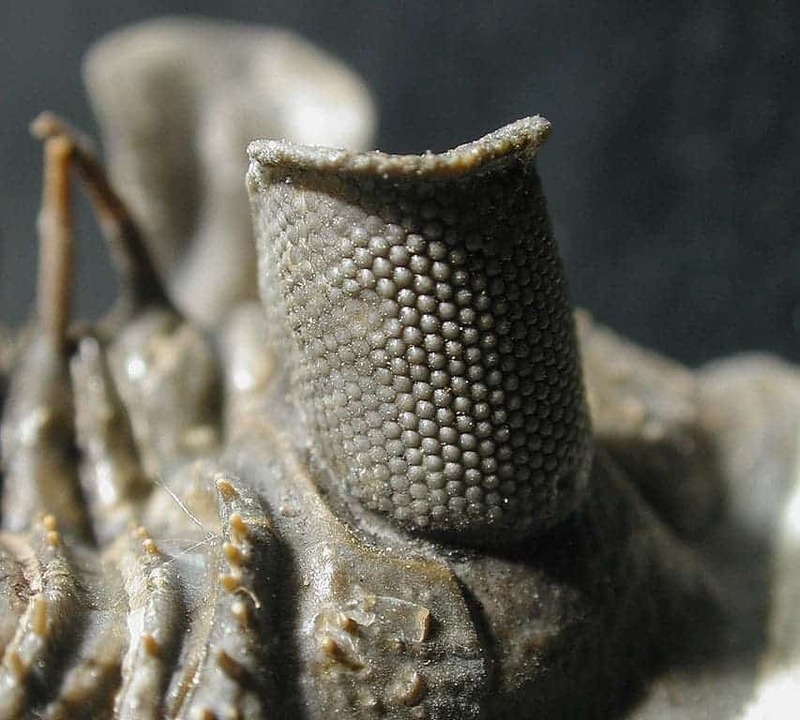 Cheirurus ingricus is a species of trilobite which emerged 500 million years ago. Photo by Tim Evanson. Trilobites are one of the most common fossils in the world. They formed one of the earliest known groups of arthropods, and they can tell us a lot about the way life evolved hundreds of millions of years ago. So without further ado, let’s look at some facts of everyone’s favorite fossil. They thrived for almost 300 million years, from the Lower Cambrian (521 million years ago) to the start of the Mesozoic (250 million years ago). That means their period was hundreds of millions of years earlier than the Jurassic, when dinosaurs ruled the Earth. 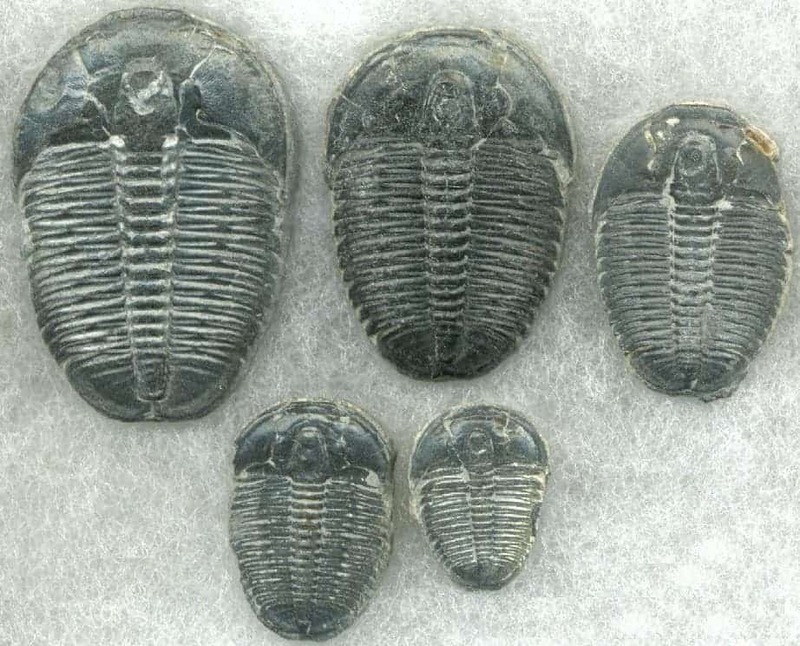 Trilobites are extinct arthropods, and some of the earliest one at that. They are distant relatives of modern lobsters and spiders. They lived in marine waters, although only some of them could actually swim. Many burrowed or crawled around on muddy sea floors. They were the first creatures to develop complex eyes. Erbernochile erbeni eye detail, Large compound eye with “eye-shade”. Photo by Moussa Direc. Their fossilized remains have been found on every continent on Earth, indicating that they thrived in all regions of the planet and all climates. This is why they’re some of the most common fossils. Like many modern arthropods, they were covered with a segmented exoskeleton. They could almost certainly roll up into a ball when threatened and some exoskeletons were covered in spines and bumps for added protection (or perhaps reproductive purposes). Also like many modern arthropods, they molted. This means they shed their exoskeleton as they grew. They greatly varied in size, from less than 1 cm to over 70 cm. They’re called ‘trilobites’ because their body could be split into three parts both longitudinally and axially. Image via University of Kentucky. 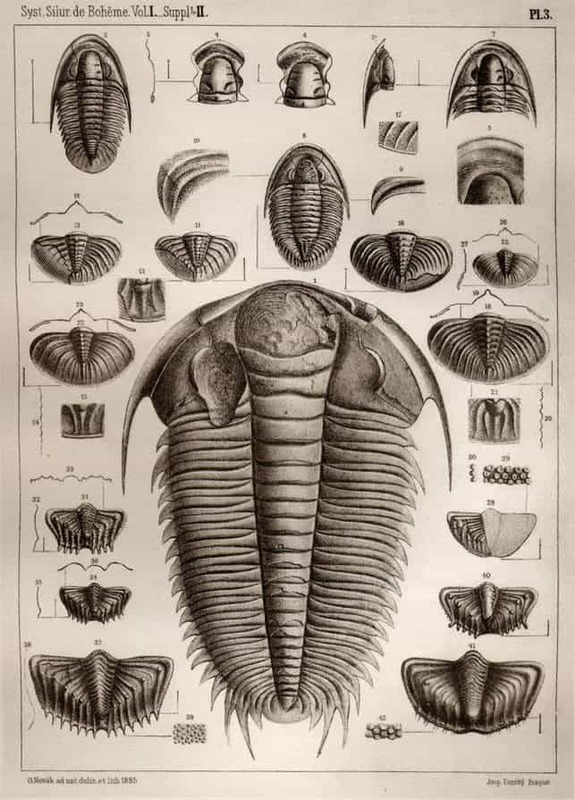 There are 10 “Orders” of trilobites featuring over 20,000 recognized species. Trilobite fossils are so well studied and understood that some species actually serve as a marker for dating geological layers. Some trilobite fossils show signs of predation — so something definitely ate them. They had many different lifestyles: some moved over the seabed as predators, scavengers, or filter feeders, while others swam and fed on plankton. 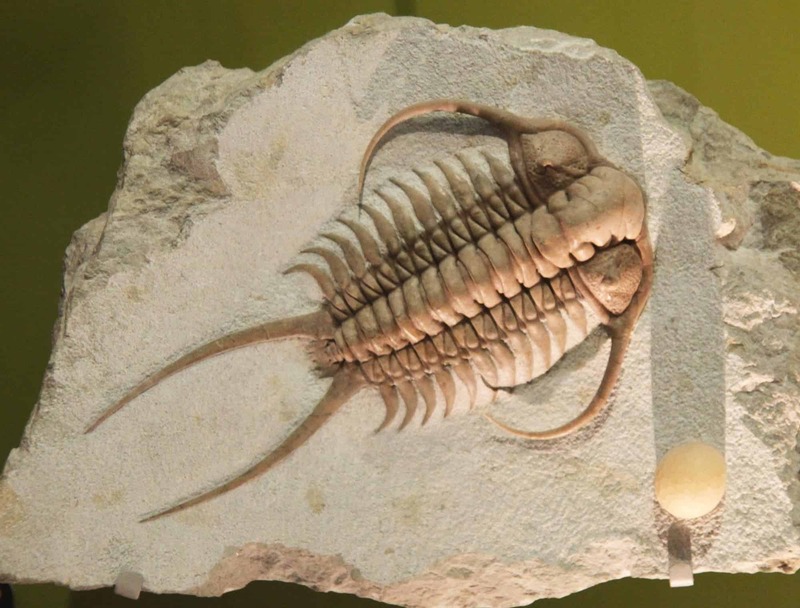 Some trilobite species may have developed symbiotic relationships with sulfur-eating bacteria from which they derived food. They survived through several extinction events— not really all that surprising, as they were around for almost 300 million years. Still, trilobites maintained a healthy level of diversity all throughout their history before ultimately fading out at the end of the Permian. Within the marine paleoenvironment, trilobites were found in a broad range of water depths, from extremely shallow to very deep. Most trilobite fossils are actually the remnants of their shed exoskeletons and not the trilobite themselves. Collecting trilobites has a long history. 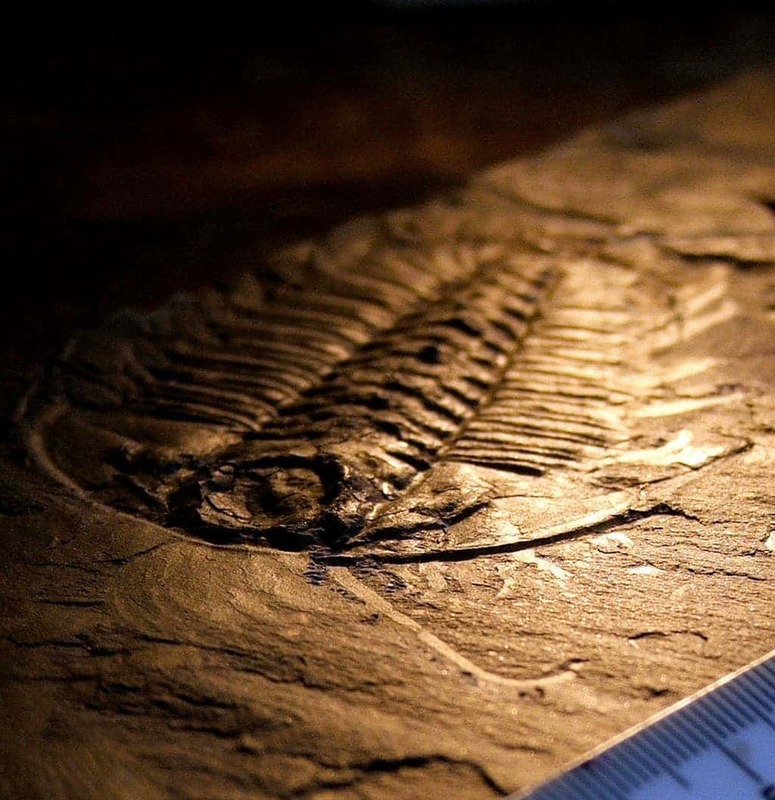 Trilobite fossils have been found in burial grounds dating back more than 50,000 years. The study of Paleozoic trilobites in the Welsh-English borders by Niles Eldredge was important in establishing the theory of evolution. A trilobite’s cephalon, or head section, shows incredible complexity for the time. They had a single pair of antennae and otherwise undifferentiated biramous limbs. Lenses of trilobites’ eyes were made of calcite, which is transparent when extremely pure. Some species had hundreds of individual lenses in each eye. Despite this, other species were completely blind — likely because they lived too deep for light to reach them. They had a toothless mouth that faced backwards, in front of their legs. We’re not really sure where their heart, brain, and liver were situated. Trilobites were ultimately wiped out by the largest extinction event in our planet’s history – 250 million years ago, when 90% of all species on earth suddenly perished.